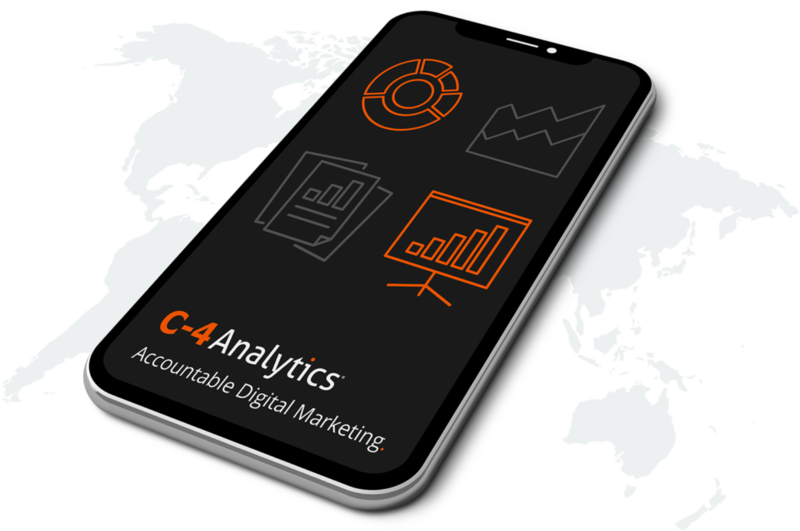 C-4 Analytics is now participating in GM Enhanced Digital Advertising and in-Market Retail. That means GM dealers can make the most of their match dollars through C-4 Analytics’ Digital Advertising under the GM Dealer Digital Solution. Learn about our Paid Search, Social and SEO offerings. Win more market share and measure your success in real time with our accountable, ROI-driven automotive digital marketing strategies. You measure your success in sales, so we do too. Our cutting-edge strategies are engineered to boost your bottom line. The Best Team in the Business. With dozens of Google-certified experts and an industry-leading client-to-employee ratio, we can tailor strategies and campaigns for every client in every market. Our award-wining digital marketing platform combines real-time market data with enterprise-level analytics to identify, target and convert customers. C-4 Analytics has a proven track record of helping automotive dealers win more market share while improving their ROI. Target customers based on country, region, zip code or radius around a specific location. Deliver messaging based on age, gender, ethnicity, education level, income, language and more. Refine targeting and segmentation through keywords, website placements, frequency capping and IP exclusions. Hone in on customers based on inferred characteristics like values, opinions, attitudes, interests and more. Use intel based on prior browsing history, shopping habits, loyalty metrics and custom affinity audiences. Leverage predictive analytics and statistical models to find new customers based on the behaviors of your existing customers. Turn insight into action. Dominate your market. Our extensive suite of digital marketing solutions helps dealers dominate in their markets. From Search to Display to Social and beyond, we leverage every digital channel at our disposal to help deliver the right messaging to the right people at the right time. Plus, our campaigns are managed by true industry-certified experts who have practical experience delivering results for dealers in every market. Our team understands compliance requirements and application. LEADERS TURN TO LEADERS. That’s why you should turn to C-4 Analytics. Led by Industry Experts. Driven By Data. Focused on Results.